Baron Wylon of Montclair bases his claim to the throne of Shornhelm on his descent from King Hurlburt, who ruled Rivenspire from from [sic] 2E 522 until his death in 546. Montclair's claim is disputed by the leaders of House Dorell and House Tamrith. 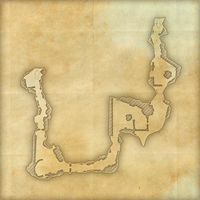 Shadowfate Cavern is located in the far southwest corner of Rivenspire. Rivenspire Pathfinder 5 Discover all of the striking locales in Rivenspire. This page was last modified on 19 November 2018, at 06:00.